First home buyers are becoming active in purchasing homes today. However, being their first time to invest in a residential property and being still young and not yet established in their careers, many of them can only afford a small home. Surveys have even shown that most of these first home buyers still rely on their parents for funds that would help them purchase their first home and most importantly pay for their deposit. When it comes to paying the deposit for a home, a survey commissioned by realestateview.com.au entitled Housing Sentiment Report revealed that 19.4 percent of buyers rely on their parents by borrowing money, living with them or using them as a parental guarantor. Buyers from Victoria (23.7 percent) were found to be more dependent on their mum and dad compared to their counterparts in NSW (15.8 percent). As for first home buyers, nearly half or 42.6 percent of buyers heavily depend on their parents to enter the property market. The survey showed that 14 percent of first home buyers borrow money from their mum and dad to pay their deposit, 13.2 percent live with their parents and investing and 15.4 percent use a parental guarantor to help secure a loan. Not all first home buyers, though, depend so much on their parents when investing in property. More than half or 59 percent are also saving via a regular savings account and 14 percent are saving through a first home saver account. 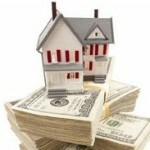 Normally, a 20 percent deposit is required when purchasing a home. If you don’t have a deposit ready, however, you still have other options. One is to use a guarantee from your parents as equity to help you with your home purchase. This guarantee needs to be supported by a mortgage over your parents’ property or a term deposit. The Housing Sentiment Report further noted that more Victorians (43.2 percent) are saving money through a regular savings account than those from NSW (31.6 percent). The same trend was found in selling their home and using the profit from the sale to buy a new home with 35 percent for Victorians and 31.6 percent for NSW residents. Another option is the Deposit Protect Bond which allows you to buy a home even before you can prepare a cash deposit. This is useful, though, if you are eligible for the First Home Buyers Grant or if your cash is linked to other investments.